The resumption date for the continuation academic activities at the University of Port Harcourt (UNIPORT) for the first semester, 2018/2019 academic session following the suspension of ASUU over 3-month-old strike. This is to inform all Fresh and Returning Students of the University of Port Harcourt that the management has announced the resumption date for the continuation of academic activities for the first semester, 2018/2019 academic session, following the suspension of the strike action embarked upon by the Academic Staff Union of Universities (ASUU). 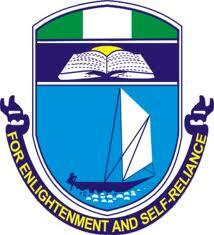 In line with the UNIPORT revised academic aalendar for 2018/2019 session, lectures for the first semester for all students will begin on Monday, 18th February, 2019. Students are advised to duly pay up their fees and also complete their registration. SEE ALSO: UNIPORT School Fees and Registration Deadline for 2018/2019 Academic Session.